Once an obscure mountain village, Chail has now become one of the most visited regions in the Indian state, Himachal Pradesh. Many people coming for Chail holidays are mesmerized with the serenity and natural beauty of this hill station. It was in the year 1893 that it went through a major transformation. Maharaja Bhupinder Singh of Patiala had decided to create a new summer capital, more attractive and at a greater height than Simla, after being banished from the region by Lord Kitchener, Commander-in Chief of the British Army in those times. This led to the creation of this beautiful hill station called Chail, which is spread over a vast area of about 72 acres today. Tourists visiting Chail would find some truly interesting places that are worth visiting for any traveller. The Chail attractions include the summer palace built by Maharaja Bhupinder Singh. In recent times, it has been converted into a hotel, where patrons can have a nice time sitting in its lawns and enjoying a good meal in its restaurant. 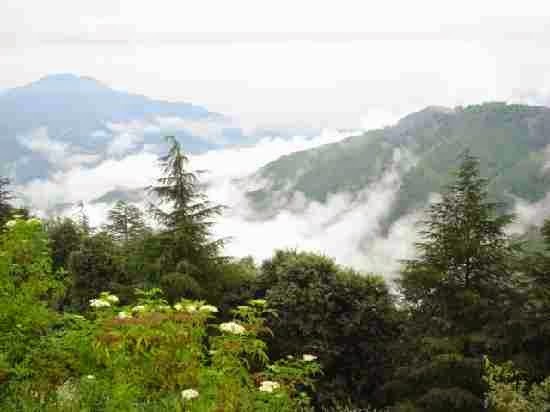 The Chail Sanctuary is another great place where travellers can embark on a trekking expedition. It is also home to some wonderful animals like Kakkar, Ghoral, and Sambhar. A temple dedicated to Goddess Kali can also be found while touring this hill station, which is called Kali Ka Tibba by the local population. Best time to vist this hill station is during summers when it is characterized by a pleasant climate with warm days and cool nights. It is advisable to avoid a tour of Chail in winter as the region is gripped by extreme cold and snowfall. The resorts in Chail provide comfortable accommodation for tourists travelling to the hill station from different parts of the world. Rooms of these resorts are well-furnished and provided with all the modern amenities.